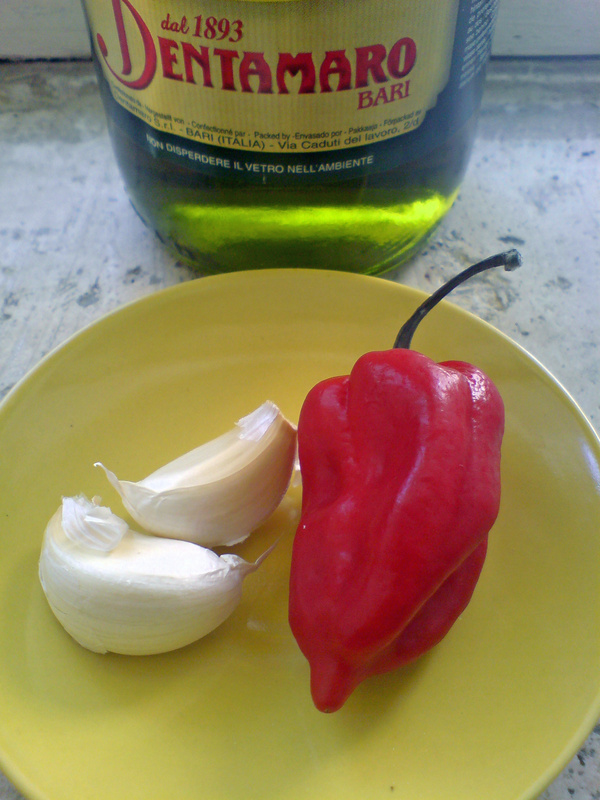 Spaghetti aglio olio e peperoncino. Another simple dish that is popular all over Italy. Serves 4. Heat plenty of oil in a pan and fry the garlic cloves and chilli until the garlic has browned. Remove the garlic and chilli. Discard. 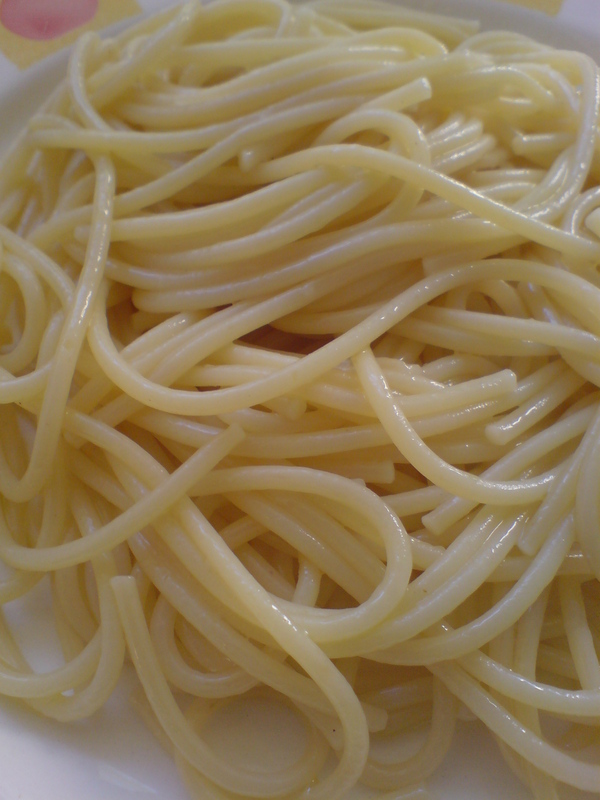 Cook the spaghetti al dente, drain and dress with the flavoured oil. Add chopped parsley before serving. For a much stronger flavour, chop the garlic and chilli and don’t remove from the oil. try once to brown whole garlic cloves in olive oil, then mash them with a fork, add chopped chilli and fry a bit more. and of course add the best parsley you can find! my favorite way to make aglio olio (and i’ve done it a couple of times). Thanks for the tip Vojtech, I’ll give it a try.